Here are seven questions to ask yourself in deciding if it is advisable to seek professional help to manage your anxiety. Do you ever feel a sudden rush of fearfulness without an apparent reason? Do people tell you that you worry too much? Have you recently experienced a high-stress situation? Does a current or past relationship cause you to feel nervous or fearful at times? Do you feel anxious about something at least once every day? Have you been through a crisis or experienced a traumatic event in the past? Do you need to take a tranquilizer (or drink), in order to cope with certain situations that might otherwise cause you to hyperventilate or “fall apart”? If you can answer yes to half or more of these questions, you will probably benefit from an evaluation by a Certified EMDR Therapist. To help panic attack sufferers regain a sense of safety and peace in their lives, I use a highly effectively technique called EMDR, or Eye Movement Desensitization and Reprocessing. By integrating EMDR with the standard treatment for Panic Disorder, I am able to partner with clients to quickly identify and treat the underlying cause of their anxiety or panic attacks. EMDR is a safe procedure used by Certified EMDR Therapists that involves using eye movement patterns to release emotional pain that has become “stuck” or “frozen” in the deeper centers of the brain, beyond the present control of the conscious mind, after a trauma or highly stressful experience. Numerous studies have shown that EMDR is very effective in the treatment of trauma, depression, anxiety disorders, phobias and a wide range of addictions. Once the cause of the panic attacks is identified, I work with my client to release the related fears and memories and clear away their negative impact. This process involves helping the individual develop a larger window of tolerance for their fearful thoughts, so that they can work through their fears without being overwhelmed by them. Research has shown that EMDR works in the deeper centers of the brain, the amygdala, where fearful emotions can get “stuck” if they are not processed normally by the brain. EMDR therapy is designed to re-process these stuck fears so that they have much less intensity when related images or memories of the original trauma are stimulated. These memories will become more like everyday thoughts that are naturally integrated and assimilated by the nervous system. EMDR is believed to synchronize the two hemispheres of the brain, stimulating a process similar to REM sleep, and integrate sensory and cognitive “information” in the brain and nervous system to promote balance and natural healing. 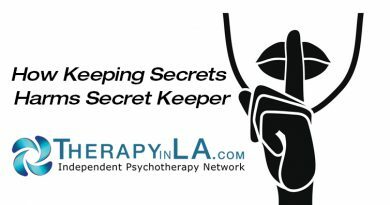 Dr. Boulware is a Psychotherapist and a Certified EMDR Therapist practicing in Santa Monica and Redondo Beach and is a member of the Independent Psychotherapy Network. You can contact Dr. Boulware at 310-374-4173 or via e-mail to carolphd@psychotherapist.net. Copyright 2017 by Carol Boulware, Ph.D.